Rob Sepeter of RLS Energy contacted Connection Group for a small business website design. Mr. Sepeter found Connection Group when he visited a website we designed for a local retail gift and nursery shop, Hidden Trail. 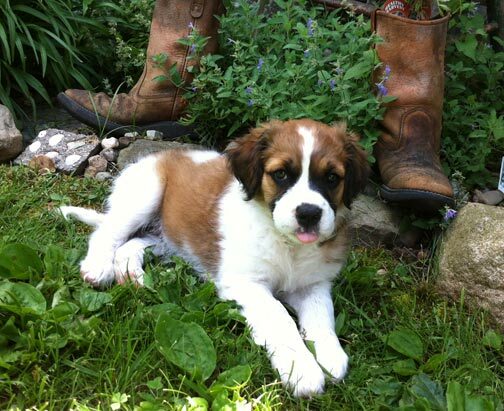 Hidden Trail Gift Shoppe specializes in nature themed gifts for home and garden, plus fresh plants and holiday greens. The website design quickly communicates this nature and environmental niche. Although the original RLSEnergy.com website functioned and had similar content Mr. Sepeter felt the website design was not reflective of his clientele or the environmental nature of the products he offers. Another issue Mr. Sepeter asked us to address was the inability with the old site for ease in updates. Connection Group needed to set up a back end content management area where he or a staff person could easily and quickly edit website content, without having to have a PhD in web programming and development. RLS is a start up company and serves customers throughout Michigan. RLSEnergy.com didn’t require a lot of automation or bells and whistles that e-commerce websites and some larger company websites often need. 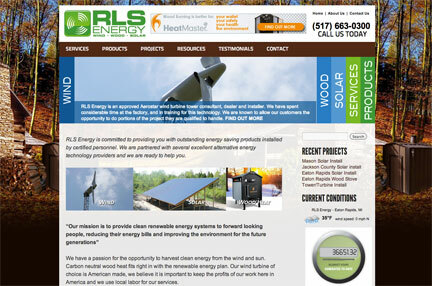 Connection Group solution for the small business website design that RLS Energy needed was to set up a website powered by the WordPress content management system (CMS). Choosing WordPress allowed us to keep the cost effective for the small business owner and also allow ease in website updates by any staff member. WordPress also offers numerous plug-ins that assist blog and small business website owners with automated features to help with SEO, comments, calendars, pretty much anything a website manager could need to optimize a website for effectiveness. 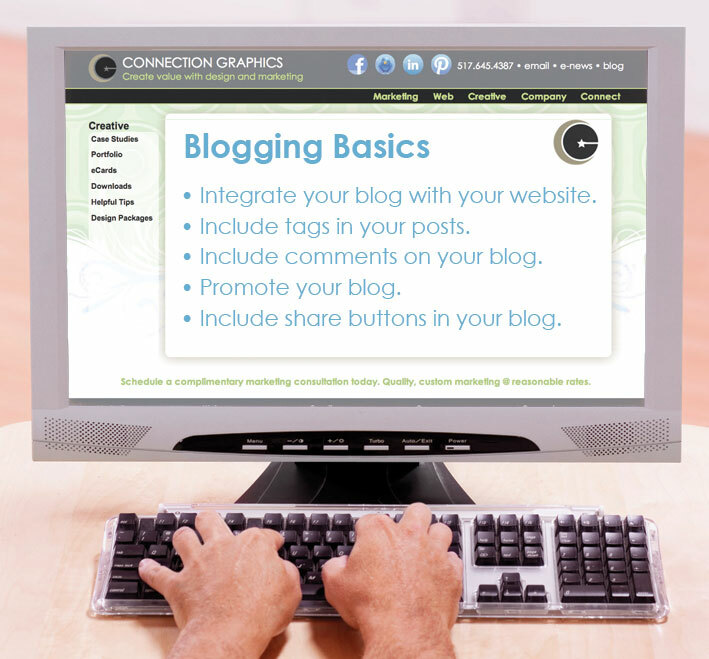 Information on website and blog plugins are a whole different post but are an important considerations when looking at blog and website solution for your small business. RLS Energy is enjoying the new environmental website design and in just one half hour content management training session they are now able to easily post project and merchandise photos and updates. 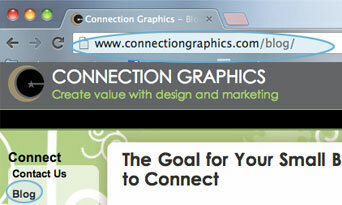 Do you think a WordPress blog or small business website design would work for your company? Connect with us and let’s talk about your digital marketing and communication goals. We can help you choose the best blog or website solution that will grow with your company and allow you to control updates at the level you desire. As we celebrate the Thanksgiving holiday here the United States I wanted to send a greeting of gratitude to all. Are you a business in the mid-Michigan area looking for a cost affective way to reach area residents or businesses? Do you have a specific product, service, event or promotion you want to get out to potential customers? The United States Postal Service (USPS) has a new campaign with incredible postage rates for flat mail pieces. These mail items can be targeted into specific neighborhoods. There is no need to spend hundreds of dollars purchasing a list. Do you want a direct mail campaign in Lansing, DeWitt, Waverly, or Grand Ledge, or a direct mail campaign just in Whitehills? With this program we can target an entire city, rural area, or hit a specific neighborhood. You can choose to run 500 pieces or 350,000 pieces or more, there is no cap. The postage fee for the Every Door Direct Mail® pieces are a mere 17¢ each! That is a savings of 28¢ per piece compared to a standard first class mail piece. The postage savings as well as the elimination of the mailing list expense offers an opportunity for small businesses to have a more level playing field against companies with larger marketing and advertising budgets. Lansing restaurants can mail menus, local retailers, local service companies, local builders and beauty salons can mail promotions, coupons and even local political campaigns can enjoy the savings. 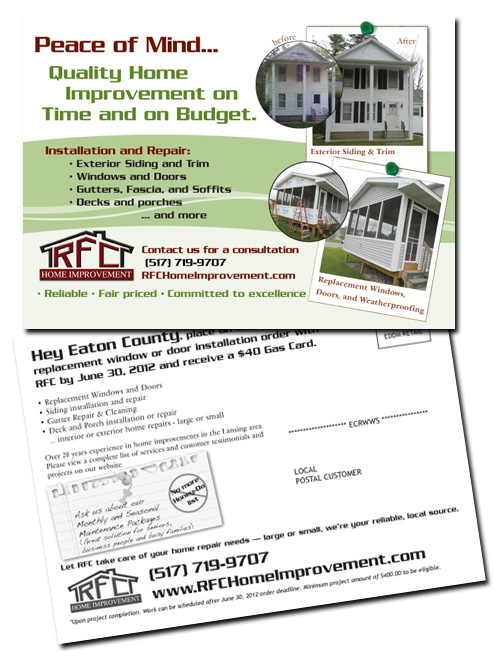 Connection Group recently completed an Every Door Direct Mail® campaign for a local home maintenance company, RFC Home Improvement. We chose to primarily target the area where they are located, where they have an existing clientele and have built brand recognition. We also chose a targeted Lansing neighborhood with similar priced homes that were of an age that may require the specific services RFC was promoting in this mailing. 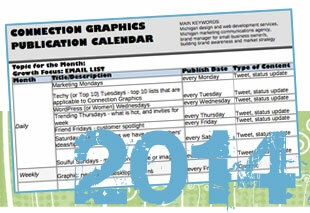 We worked with our client to determine what services are best to promote for the Spring and Summer season. After establishing the focus, our graphic designers created a custom designed postcard displaying before and after photos of the clients work. The promotion was clearly outlined with a call to action included. Mail quantities were determined and the postcards were printed with the correct indicias and mailing information the USPS requires for the Every Door Direct® mail campaign. Neighborhoods and routes were then counted and the every door direct mail campaign pieces were bundled in packs of 50 with facing slips attached. For each post office drop off point an Every Door Direct Mail sheet was included with Connection Group unique customer i.d. and the specifics of each route were outlined. With the large variety of advertising and marketing options available for business – especially with the explosion of social media marketing, internet marketing, SEO and SEM – it can be difficult to know where to commit your marketing budget. Direct mail campaigns can compliment other marketing efforts and continue to expand brand awareness and recognition. Not every marketing component is appropriate for every business, including direct mail. Custom solutions targeted by industry and by market are the best approach. Although the USPS has attempted to make this an easy experience for small businesses to create these campaigns themselves and theoretically save more money by doing everything in house, experience shows this may not be the best choice. As professionals, with over 20 years experience in direct mail, our crash course with our first Every Door Direct Mail campaign found us going in circles on the USPS website. Once the direct mail pieces were ready to mail we spent time sharing what we learned with some of the postal service employees who were not familiar with the program and were able to keep the project moving forward. Using a professional can keep your costs in line and take away a lot of headaches. Of course a professionally designed layout can present your message in an appealing and professional light that recipients will take seriously. So if you are ready to increase brand exposure in your area, introduce your new business, attract attendees to an event, get votes, share your new product list, service menu, restaurant menu and more, give us a call. We can get your get your foor in every door. Pung Foundation logo created for mid-Michigan based concrete construction and renovation service company. Phones have been ringing, emails are flowing in, social media posts are crammed with new business start ups ready to make a difference. New entrepreneurs are emerging with products and services that can change the world – or at least their communities and bank books. Ahhh, the passion of entrepreneurs! 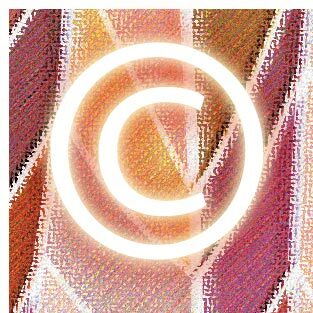 I love when new start ups come to Connection Group for a graphic design or marketing consultation. I know when they start here they are serious about their approach and their image. I get to see their eyes light up, hear their story, and feel their drive. New business start ups come to us with a lot of questions, hope and dreams and often very limited budgets. It is our job to understand their goals, their philosophy, their market, their budget, service or product, and provide guidance to them that will assist their business launch without breaking the bank. One of the first recommendations I make to business owners is to start with a professional logo. So many software programs and websites out there have stock art that people can place on a business card, throw a phone number and website next to and convince themselves they are the next Apple or HP. Online printers spout 250 free business cards, free icons, free templates. What cash crunched start up can resist’, FREE graphic design, FREE business cards? We have all been to a networking event where we come back to the office and have two or more identical design business cards or two cards with the same logo or clip art. image. The designs and logos are the same the only difference is the names on them – one is a massage therapist, one is a florist, and another is a dog groomer. One was a contractor who specialized in tile installation, the other does windows. Now which one was the it that I wanted to refer to my mother? None of them. Why? Because they are not unique, they do not stand out from the crowd and chances are that is the way they will run their business. 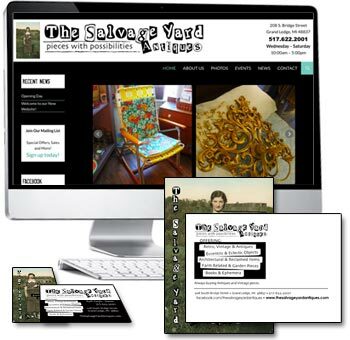 These owners did not take their business or craft seriously enough to invest in their image – they decided their business was only worth a free set of business cards. 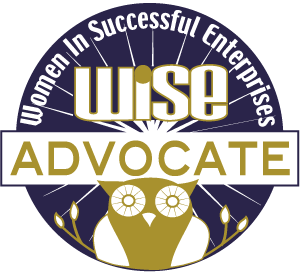 Logo created for WISE, a Michigan based organization comprised of second stage women owned businesses. So when I have a start up company call or email and say they understand the importance of presenting themselves professionally but don’t know where to start, my question is not, ‘What is your budget?’, my question is, “When can we set up a time to meet?” I love an entrepreneur, I am one, I know small businesses make a difference in their communities and can change the world. I want to help the good ones to succeed. Throughout the year we have been providing training to local organizations and colleges on social media marketing. As the owner of Connection Group I also consult with customers who want us to manage their social media and create profiles in the best format to reach their market. In almost every consultation, social media class, workshop, and training this year, I have been asked what to do if a business established a personal profile page for their business instead of a true business fan page in Facebook. 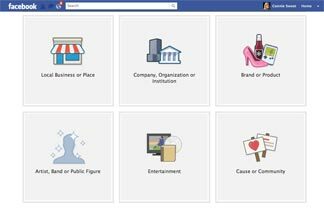 Yes, there is a big difference between a Facebook Profile and a Facebook Page, I will not get into all the reasons in this post. Please post a question if you would like more specifics, I am happy to help clarify. All of the people on your page, plus your profile pic, will be converted into your page but no other content on the old page will be moved over. Remember to save any important information prior to migrating the page. You can download a file that contains all your messages, photos and videos that you have uploaded to Facebook here. If you don’t mind losing previous posts there is no need to go through the download step. Step one: Be logged in as the personal profile you want to change with your original email address and password you set up. BE CAREFUL!!! Do not log in as your real person profile (the one you use every day)! Step 2: Go to Facebook Profile to Business Page Migration page. Step 5: Choose the page you want to connect to, add content, name the page, etc. You should now have a complete professional Facebook Business Page for your company instead of a profile page. Please contact us if you need more assistance. If you need help merging two Facebook business pages or if you have a business page and then suddenly a Places Page has emerged with your same business name and address, Facebook help now allows you to easily merge these pages too. Currently, the Facebook page with the most likes will become the main page, the Facebook Business page with the least amount of fans will merge into the first and then it will disappear. Let me know if you need help with this one!